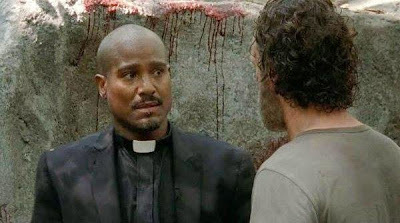 Seth Gilliam a.k.a. Father Gabriel in The Walking Dead, got arrested by Peachtree City Police. He got pulled over for driving at 107 miles per hour on Georgia Highway 74, where it was actually a 55 miles per hour zone. In addition to this, he had a blood alcohol reading of .107 and was caught with a marijuana cigarette in his car. He is now charged with speeding, DUI, and drug possession. This incident happened just as THE WALKING DEAD SEASON 6 has started shooting.